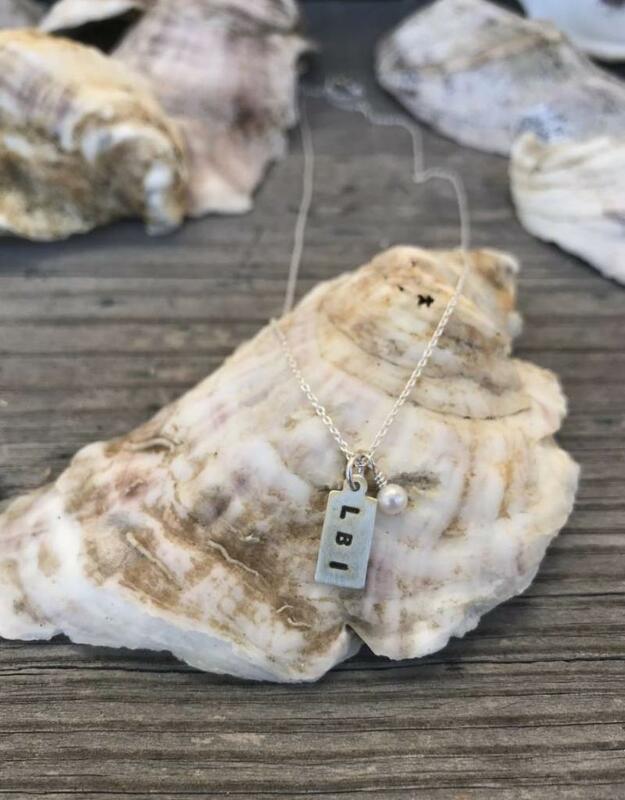 Sterling silver necklace with hand stamped LBI charm and pearl bead drop. Chain is adjustable between 16" and 18". Handmade in the USA.